Stop. Do not press send—on that online flower delivery. Time to show your Romeo, Dude. You make the time. We have the ways to make your Northern Michigan Valentine very happy. 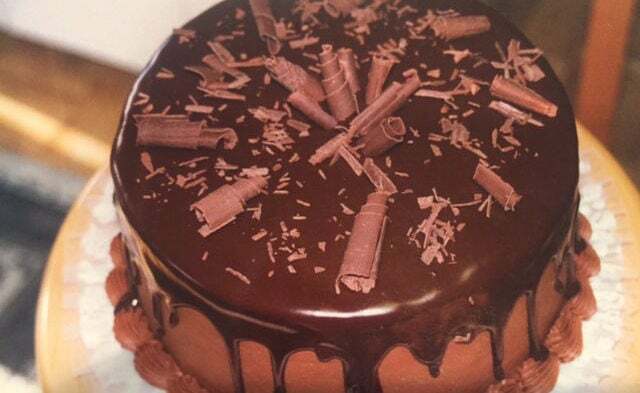 Temper, mold and fill (ganache, caramel, nuts, dried fruit, sea salt … ) chocolate in the Artisanne’s Chocolate class—set in this perfectly gorgeous chateau with its dreamy view of East and West Grand Traverse Bay. Everyone leaves with a box of their own custom-designed chocolates rivaling those from any chocolate shop. Book a room at the inn and make it a full-blown Northern Michigan getaway. This two-night Valentine’s Day special is a wine and food extravaganza that includes wine tasting, a cooking class, exclusive three-course dinner, access to the hiking/snowshoeing trails, sauna and more. 231.944.1251,innkeeper@blackstarfarms.com. Twenty percent off all pink and red jewelry in stock at James C. Smith Fine Jewelry. 231.941.3300. Located on the shore of Lake Michigan, the Inn at Bay Harbor is where love stories are written. Celebrate the special person in your life and treat them to an experience like no other. Beginning with luxurious accommodations, the waves of romance builds throughout your stay with roses, split of champagne, decadent strawberries served with honey, cream and chocolate, breakfast for two, and a $240 spa credit to rejuvenate with spa services of your choice. 866.206.9789. Give your sweetheart what she really wants. Cherry ganache pie! 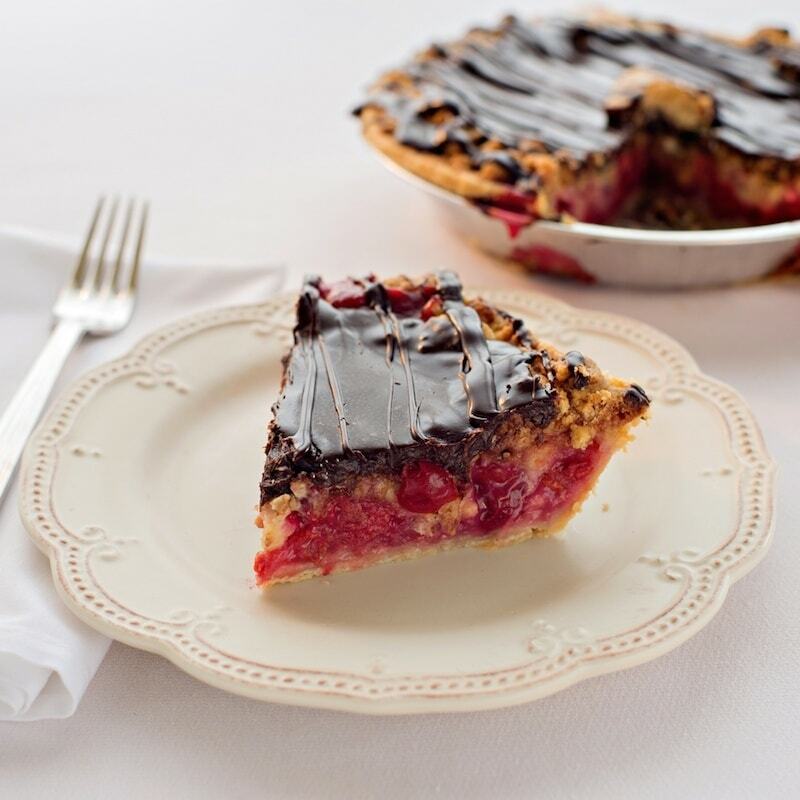 The classic Grand Traverse Cherry Crumb Pie, made from Michigan Montmorency cherries, is topped with homemade chocolate ganache. This is sure to become a favorite for those chocolate lovers, especially when served warm with ice cream! Sign you and your sweetheart up for the Fustini’s Oils & Vinegars Valentine’s Favorites cooking class where you’ll make French onion soup, patatas bravas, spaghetti carbonara and chocolate lava cake. Must register. 231.758.3575. Snuggle up together on the Wilderness Sleigh Ride Dinner that begins with a bonfire where a hot drink will await you and then to a wilderness cabin where you’ll dine on a four-course meal that includes lobster bisque, beef filet, assorted beer and wine and more. Reservations: 989.732.6711. Take a drive in the snowy Antrim County countryside, to this legendary intimate gourmet restaurant where lamb shank, sea bass and rolled chicken with raspberry sauce are served up at a romantic dinner in honor of St. Valentine. 231.588.7351. Taste the Passion leads through snow-covered vineyards and into cozy tasting rooms where wines are paired with small plates. Tickets are good for both Saturday (11 a.m. to 5 p.m.) and Sunday (noon to 5 p.m.). Get your tickets at MyNorthTickets.com. Dine on five courses—clam chowder, roasted beet salad, pasta carbonara, petite filet and tiger shrimp, chocolate mousse with pretzels—at the rustic Mackinaw Trail Winery at a special Valentine’s wine dinner. Only 40 will be seated. Purchase tickets online. Singer Laszlo Slomovitz and poet Jennifer Burd set the mystic works of 13th- and 14th-century Persian poets Rumi and Hafiz to song under a blanket of stars in Mackinaw City’s fabulous dark sky park at the Romancing the Stars event. Bring a snack and beverage and arrive early to catch sunset at 6 p.m., or arrive 6:30–6:45 p.m. to park, get settled and wait for the show to begin. Linger for the after show when the moon touches the heart star Regulus in the midnight sky! Reservations requested. 231.348.1713. The Red Dresser, Traverse City, February 11, 10:30 a.m.–6 p.m. Select items throughout the shop will be 20 percent off, marked with a red heart! The hot cocoa bar will be stocked and there will be plenty of chocolate to savor while you shop. POUR Public House, Petoskey, February 14, 6–10 p.m.
POUR Public House will be featuring a special Valentine’s Day menu with wine pairings included in the cost, as well as their regular menu. $35/person for the 3-course prix fixe menu and $55/person if you would like the wine pairings, as well. POUR will donate 10 percent of all sales for the evening to the Women’s Resource Center of Northern Michigan. To make reservations or for more information, call POUR at 231.881.9800. Guest can receive $25 off already discounted winter rates and a chocolate ganache cake for two during the month of February. Mention this advertisement. 231.582.5373.